A blog that might be sporadic and just a touch unpredictable. It has been three quarters of a year now since I put this project to rest. The convention has been and gone for the last time, and has had some teary farewells. 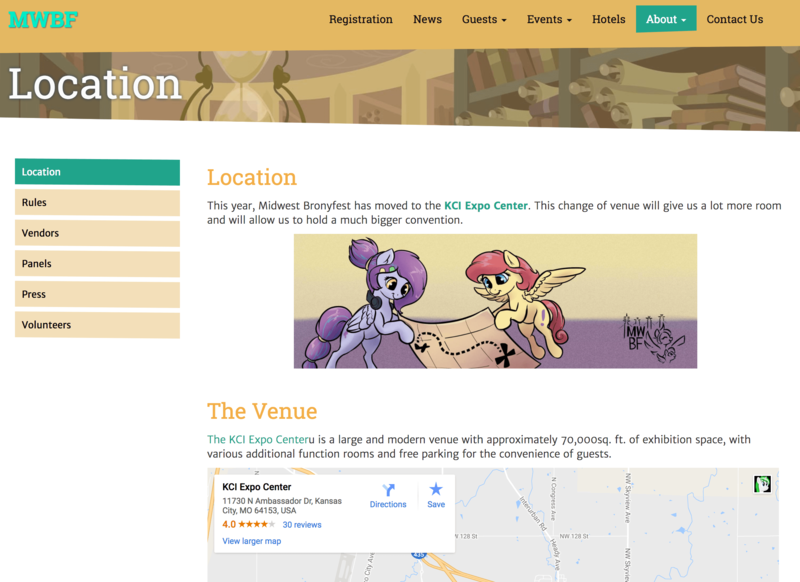 As you may (or may not) know, I designed and developed the website and much of the content for the Midwest Brony Fest (MWBF) website. The website for MWBF 2015 was built in WordPress, and when I was asked to get involved in 2016, I set to change that. When I started on the new project, out went the old dark design and tiny text, and in came bright and vibrant colours and much larger fonts that made the website easier to read. It annoyed me to put "May 27" rather than "27th of May", given that I'm British. 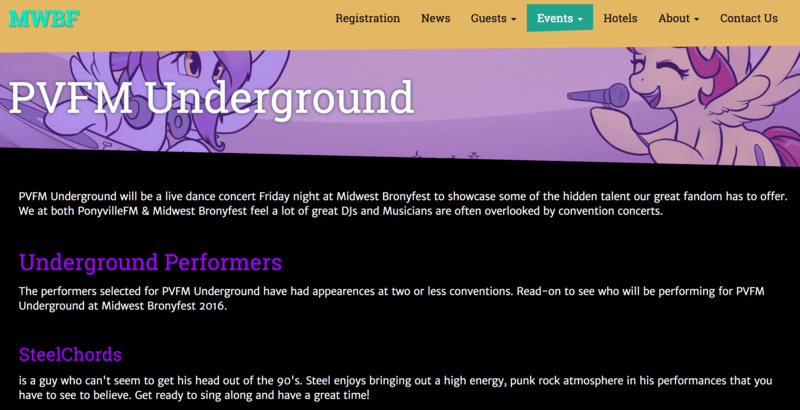 I put my tea-drinking British-isms to one side, though, and continued towards making a website that Midwest Brony Fest would be proud to use. ...says the commit message in the repository. Thus, our homepage went live. 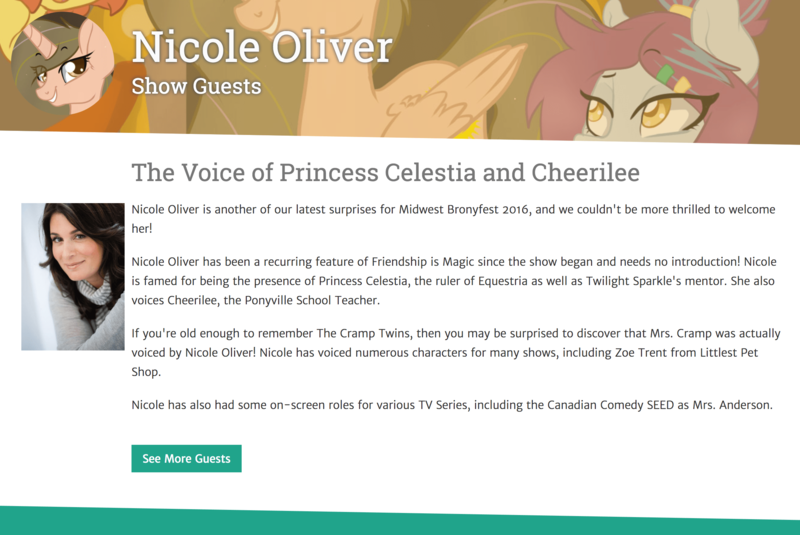 The homepage feature changed each time there was a new guest announcement, which was about every one to two weeks. Each guest had their own page, which was beneficial for discovery by search engines and meant that if a potential visitor was looking for the names of voice actors or performers, that the convention would be discovered by them. There were several large features planned through the convention that were events in their own right - notably there was a Concert called "LOUDER" and a newcomers' stage called "PVFM Underground". The pages featuring these events used a distinct white-on-black theme to differentiate them from the rest of the website. For generic content that didn't warrant its own link in the navbar, there was a "sections" page design that grouped related content together and introduced a side navigation menu. 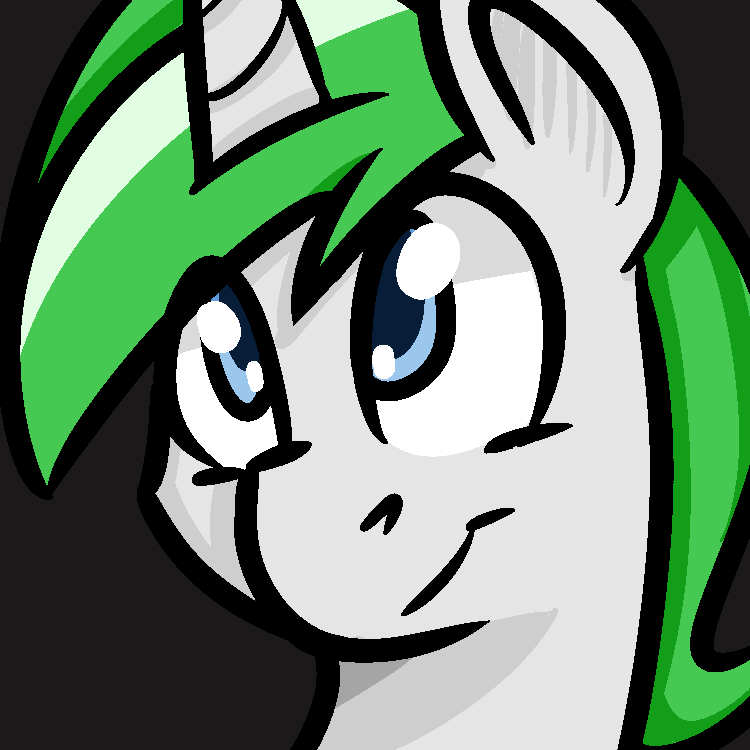 All in all, I genuinely enjoyed working on the Midwest Brony Fest website project, and was very grateful to have receive positive feedback from the convention-goers about the website design and ease of use. To everyone who worked on making the convention a reality: Thanks!